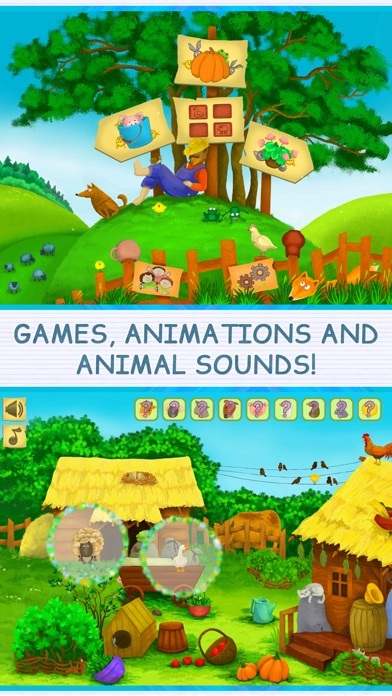 Two educational games, illustrations, interactive animations and animal sounds together in one application! These games not only introduce your children to animals but also develop their memory, attention and imagination! Your child will get acquainted with cute domestic and wild animals: cow, sheep, piglet, dog, goose, duck, billy goat, rabbit, chicks, frog, hen, fox, mole, hedgehog, squirrel, cat, mouse, cockerel, fish, stork chicks, crow and raccoon! 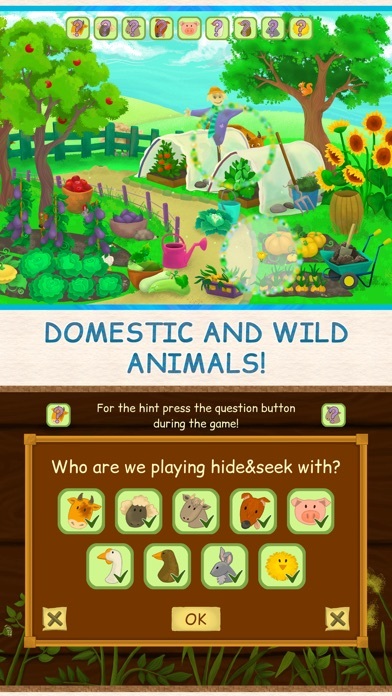 WHAT IS THERE IN “HIDE&SEEK”: – You choose yourself which and how many animals will play with you. 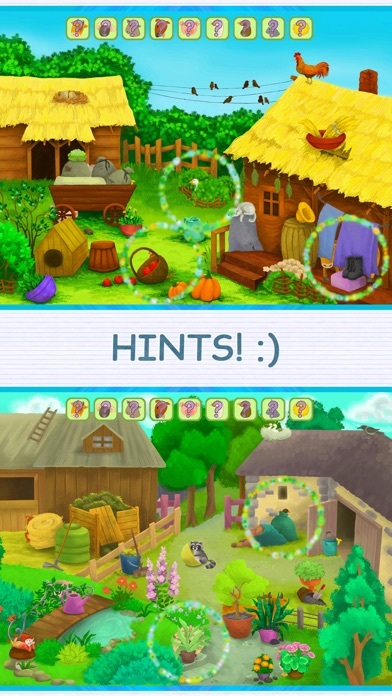 – Hints! – Most animals can hide in more than 100 ways in each scene – they are always fun to look for! – Animations in the scene which you can activate on your own. 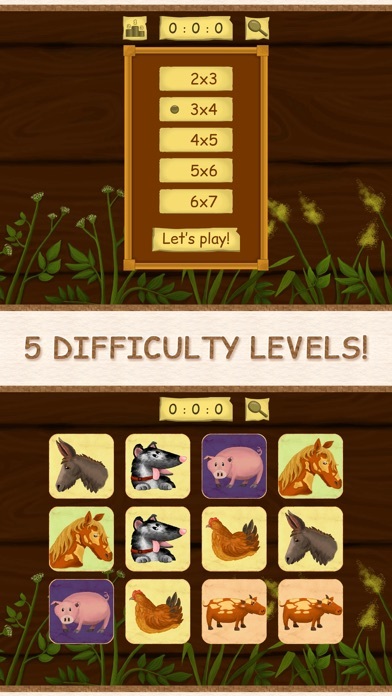 WHAT IS THERE IN “MATCH PAIRS”: – 5 difficulty levels – for all ages! – Best results are saved. 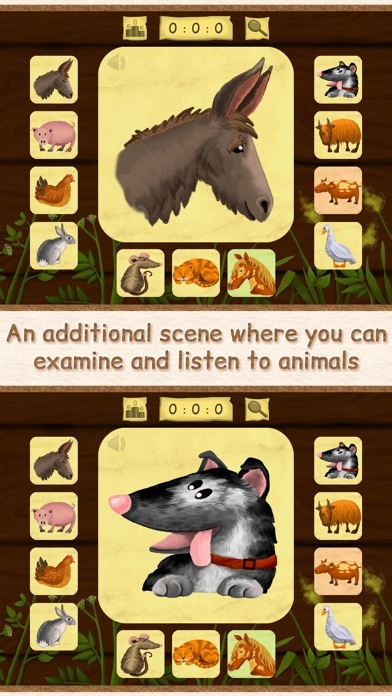 – An additional scene where you can examine and listen to animals.